CAD software tools have evolved so much over the years that any project – from the design of a tiny component to the building of an aircraft – utilises them at one stage or the other. 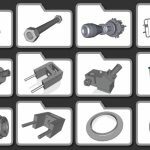 This article explores CAD forums that have become popular in recent times, owing to their large user-base and the depth of topics that they address. 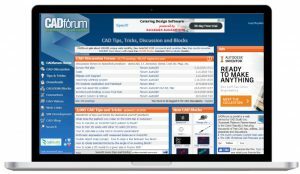 Whether you are an engineer just starting out or an expert with years of experience, these forums are a valuable resource in learning about any topic related to CAD. CAD, or Computer-Aided Design systems have come a long way since they first became popular sometime in the 1970s. Initially, they were used to obtain electronic copies of manual drafts. Gradually, they evolved into a tool for generating bills of materials and performing interference checking. Today, they incorporate highly sophisticated features involving engineering calculations and 3D views of objects. CAD has revolutionised the field of engineering software tools in more ways than one. 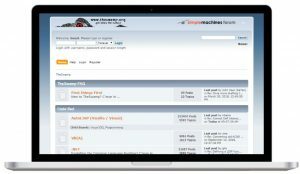 The growing use of the software has resulted in various CAD forums being created for users online. Whether you want to create your own jewelry or design your own line of furniture, build an appliance or design buildings, CAD offers multi-dimensional solutions at every stage of your project. Features include conceptual design, strength analysis, manufacturing methods, visualisation capabilities, real-time simulations….the list is endless. 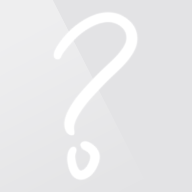 More features in a software tool do not necessarily mean our jobs become easier…. at least not until we learn how to use them! CAD’s multiple functionalities and uses have given rise to the birth of CAD forums which involve members from around the world who discuss design issues, share ideas, offer solutions to other users, and basically help one another make the best use of CAD. Autodesk is the maker of AutoCAD, which as you probably know is one of the most popular CAD software tools available today. It is no wonder, then, that the Autodesk forum is considered the ‘go-to’ community for anything AutoCAD-related, and is very popular among CAD users. 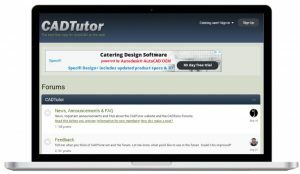 These forums include online tutorials that cover a wide range of topics, geared towards a wide spectrum of users – from those who are learning the basics of CAD, to engineering pros. The community boasts of ‘elite experts’ who are subject matter experts in one or more areas of AutoCAD. If you are lucky, you could find your question being answered by one of them! 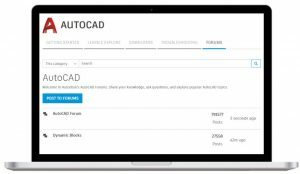 CAD Studio Inc., a partner of Autodesk, based out of the Czech Republic offers its own portal dedicated to CAD. 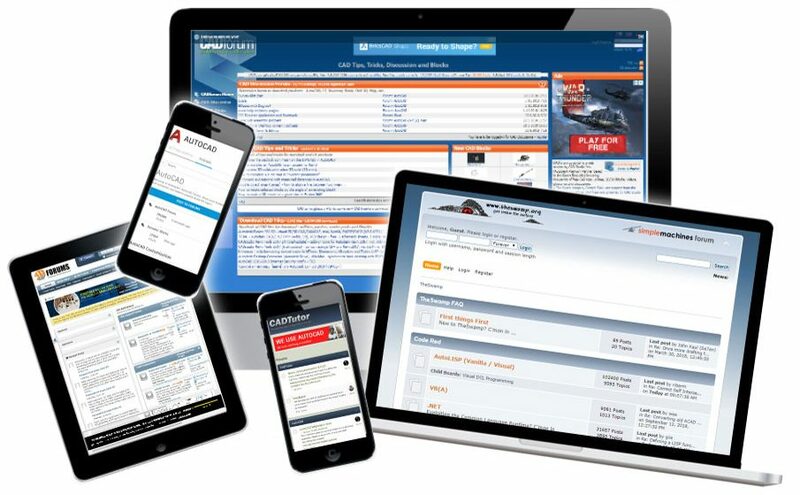 The best part about this portal is that it is easy to navigate and quickly find the information that you want. The menu bar is conveniently divided into sub-sections like Downloads (patches, fixes, libraries, add-ins and other freeware), Converters (converter of physical units), Software Development (includes tools and software for free download or purchase), Web Links (with links to other CAD portals) and a CAD Shop, where users can browse and purchase Autodesk products and licenses. Benefit – It provides practical tips and tricks for using AutoCAD, and 2D/3D blocks that can readily be used in designs (the library is updated regularly, with new blocks), along with tons of useful and informational videos. Maintained by Michael E. Beall, an Autodesk-endorsed author and AutoCAD trainer, CADTutor has a very ‘friendly’ feel to it. 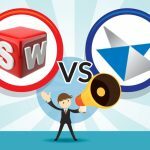 Along with AutoCAD, this website has forums dedicated to Autodesk Revit (BIM software tool) and other digital design software tools like SolidWorks, Rhino, MicroStation, SketchUp etc. It offers tips and techniques to customise AutoCAD, including customisations that involve programming and those that don’t need programming. It has sub-forums targeted towards students, offering solutions for student projects. 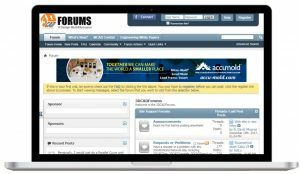 3DCADForums has CAD forums devoted to different CAD tools (AutoCAD, CATIA, IronCAD, Pro/E, and SolidWorks) and graphics tools (Adobe Acrobat 3D and 3D Studio Max). Most vital benefit – The site has exclusive forums dedicated to jobs and careers in the CAD domain. Prospective employers can post job opportunities in CAD, while CAD users looking for jobs or gigs can advertise their skills in these forums. The site also offers career-related advice about how to enter the industry, salaries, and other getting-started topics. If you are a CAD programming geek, then The Swamp is for you! 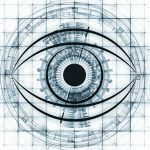 Along with general discussions about CAD, this portal has highly in-depth discussions about anything related to programming in CAD, including AutoLISP, VBA, .NET, ARX Programming and Dynamo (an extension for Revit). Most notable advantage – This is, by far, your best bet for all your coding-related questions. One cannot imagine completing a project today without using software tools at some stage of the project. CAD offers innumerable features which let users design and manage projects efficiently and with ease. As users discover more ways of using these tools, CAD forums have blossomed into a valuable online support network, providing inputs and offering solutions to everyday issues faced by the CAD community. I am not sure why there’s such an emphasis on Autocad. I started working with 3D CAD in 1998, and have never looked back. Autocad is a drafting tool, not an engineering tool. If I had to make the same bespoke designs as I have been doing in Solidworks or Unigraphics, it would take me 10 times longer and I would not be able to do an FEA or generate a bill of materials in a blink of an eye.